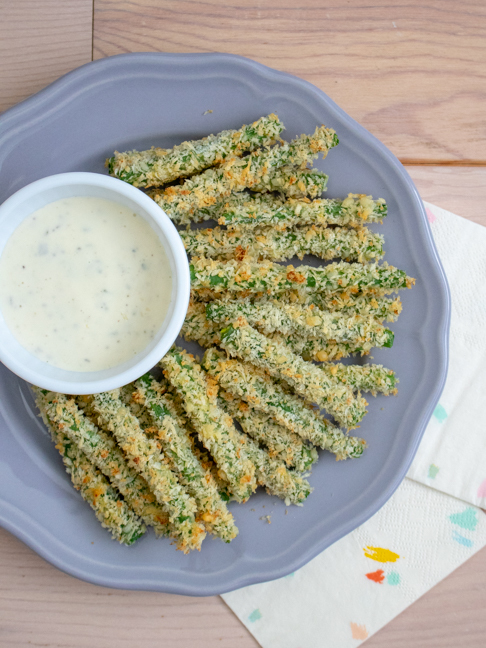 If there’s one secret to getting kids to eat their veggies, it’s cheese. That’s the only thing that ever worked for me as a kid! 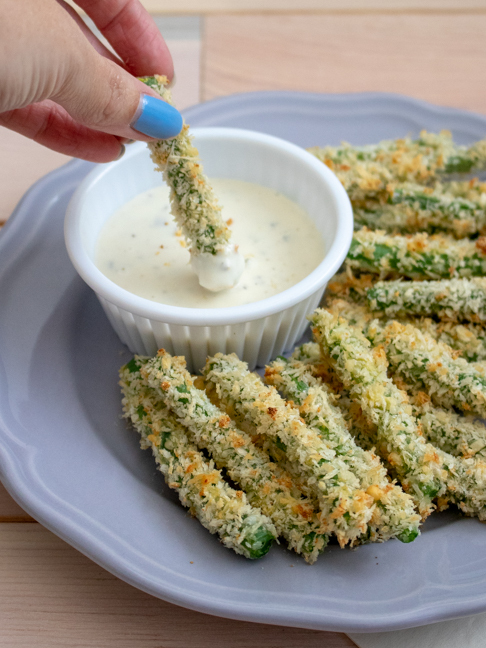 Even better, turn those unwanted veggies into “fries” baked with bread crumbs AND cheese so they’re crunchy and no longer resemble vegetables. 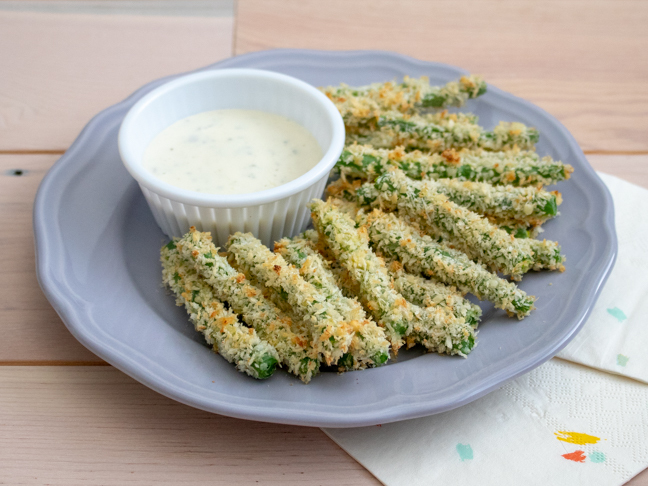 Paired with your favorite dipping sauce, these easy oven-baked green bean “fries” are the perfect snack to trick kiddos into eating their vegetables! 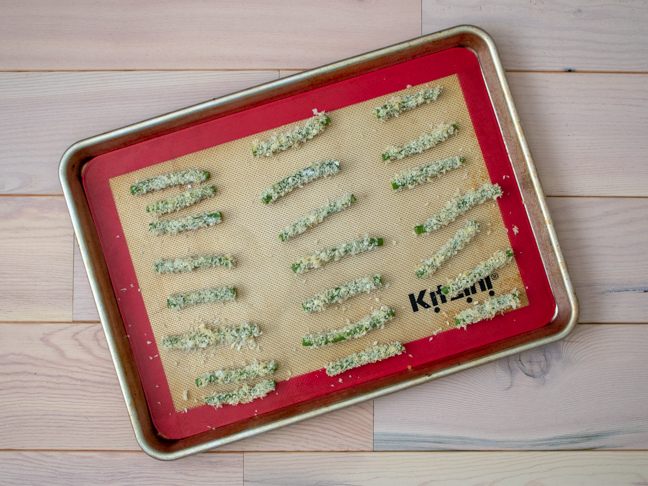 You’re sure to love them alongside your dinner too, of course.